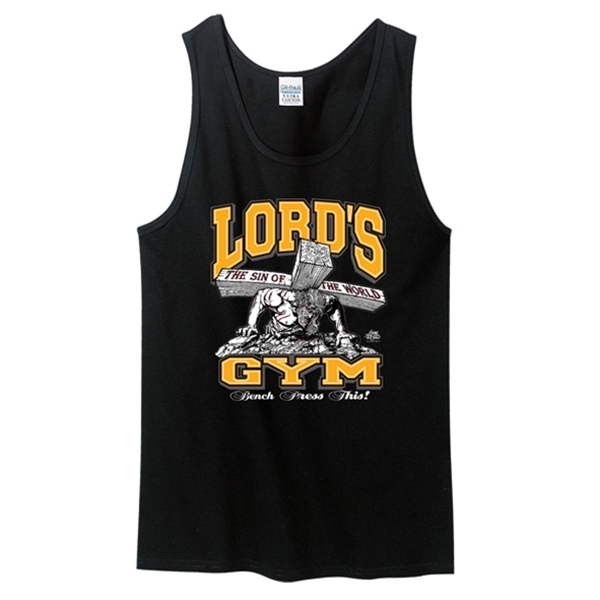 This Christian tank top features an image of Jesus benching a cross with the phrase "Lord's Gym, Bench Press This!" on the front. 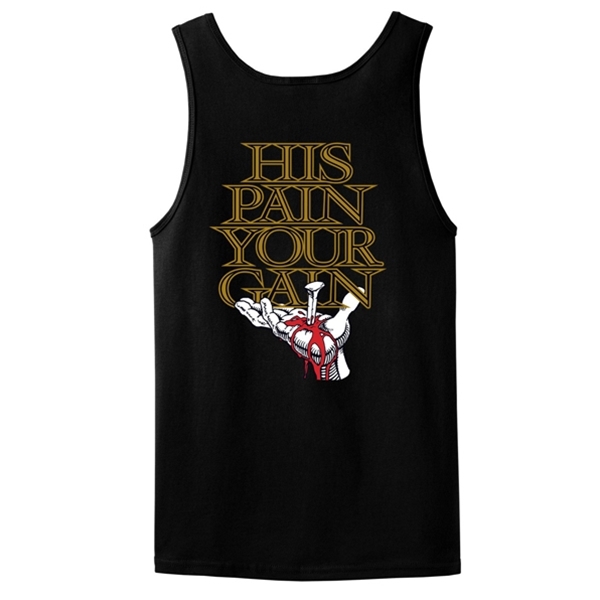 The back reads "His Pain Is Your Gain" with Jesus' hand pierced with a nail.